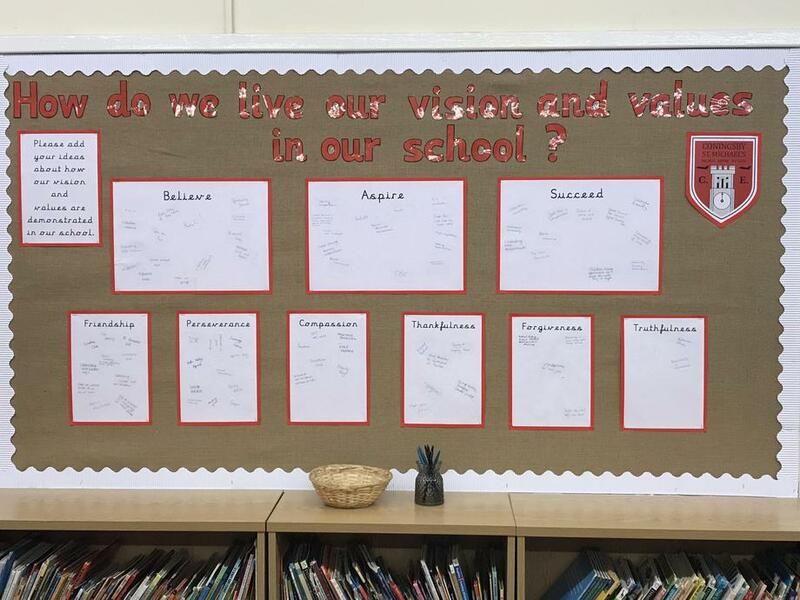 You might have noticed a new ‘vision and values’ display in our school library. This is for us to identify how we live and demonstrate the values everyday at school and we hope the whole school will contribute towards this. The next time you are in school, please feel free to add your comments.